I've been crafting a LOT today. I don't think I have been that crafty during the last three months or even longer, so I enjoyed it a whole lot. Anni and Birka totally convinced me that I needed the You Gnome Me stamp set my my favorite things. They're cute and fun to color. I'm not a huge gnome fan, but Torico/ Birdie Brown just created the cutest creatures. Have you seen my last lions cards? I used the Reverse Confetti lions last time. But I also have a new tiny lion stamp from Efco/ Janes Doodles - and that guy is super cute as well. Mustard and Aqua - what a fantastic combo! I need to keep that in mind! Anni has two boxes full of supplies that she's going to sell, so I took a look through them and found a darling stamp set my Memory box that has two cute giraffes in it. I just haad to take it and give it a beautiful new home and some love. I'm so happy, to see new creations of cards, making by you! They all are beautiful! Allesamt einfach wunderbar, liebe Christine! Mein Favorit ist auch der süße Gnom und die Farbkombi ist total genial! LOVE them all...I absolutely LOVE your style. Wonderful cards, all of them, but I especially love the giraffe! So cool!! Thanks for joining us at Little Red Wagon. Oh my gosh, these are all so great! 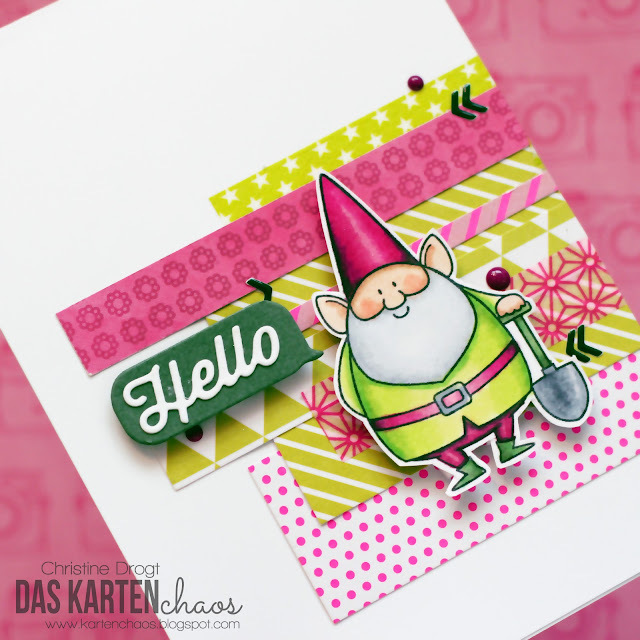 I love how you used the colors in the first one - that gnome is adorable! 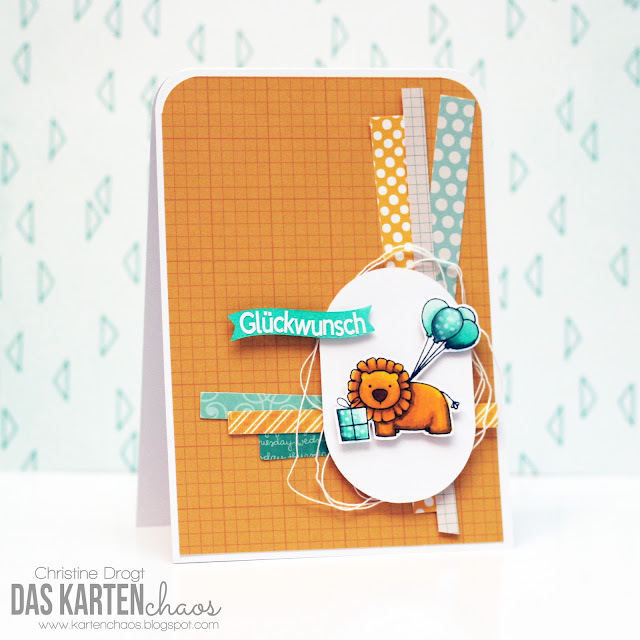 And the way you combined all the patterns and textures in the lion card is SO awesome! That giraffe is just adorable! 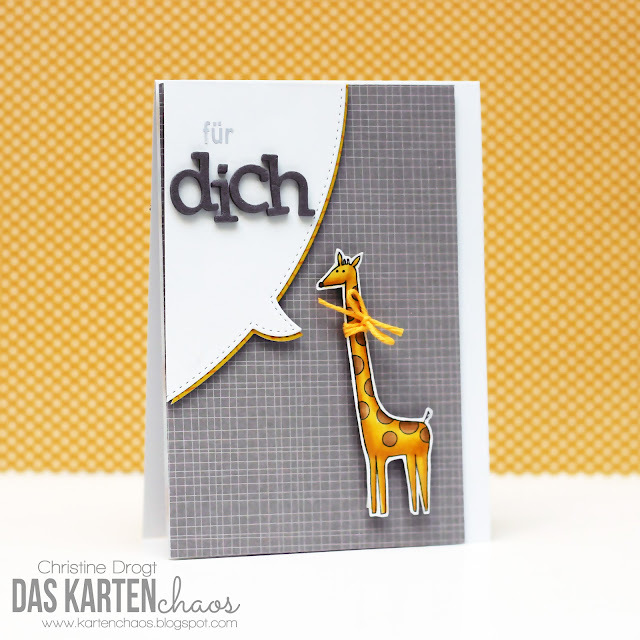 Tolle Karten - besonders die mit der Giraffe- sooo schön!!! Beautiful cards ! Like the stamps and the sketches too. Fabulous collection of cards! 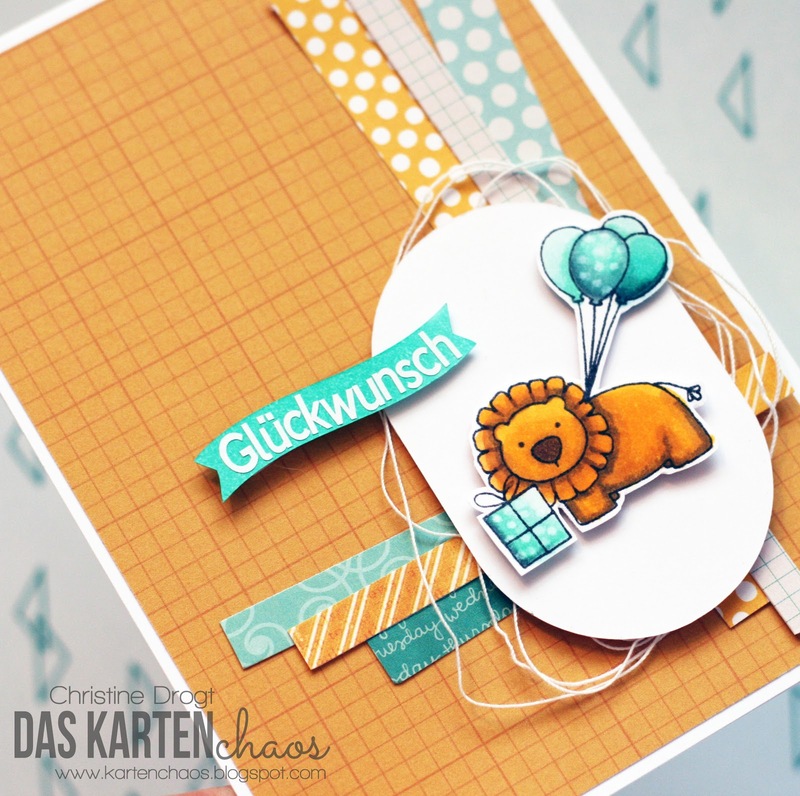 All of the images are sweet but that birthday lion is my favourite! Thanks so much for sharing your creation with us at Seize the Birthday! Aaaah, nun nochmal dei ganze Pracht in Groß (habe es ja vorher nur auf dem IPod gesehen)! Und all die neune schönen Sachen! Congrats on being featured at Little Red Wagon! Your cards are fabulous! Eeeeeeek!!!! These cards....brilliant!!!! Loooove that gnome! (So stinkin cute!!!) and the bright pinks and greens are FABULOUS!! Loooooove that adorable little lion!!! 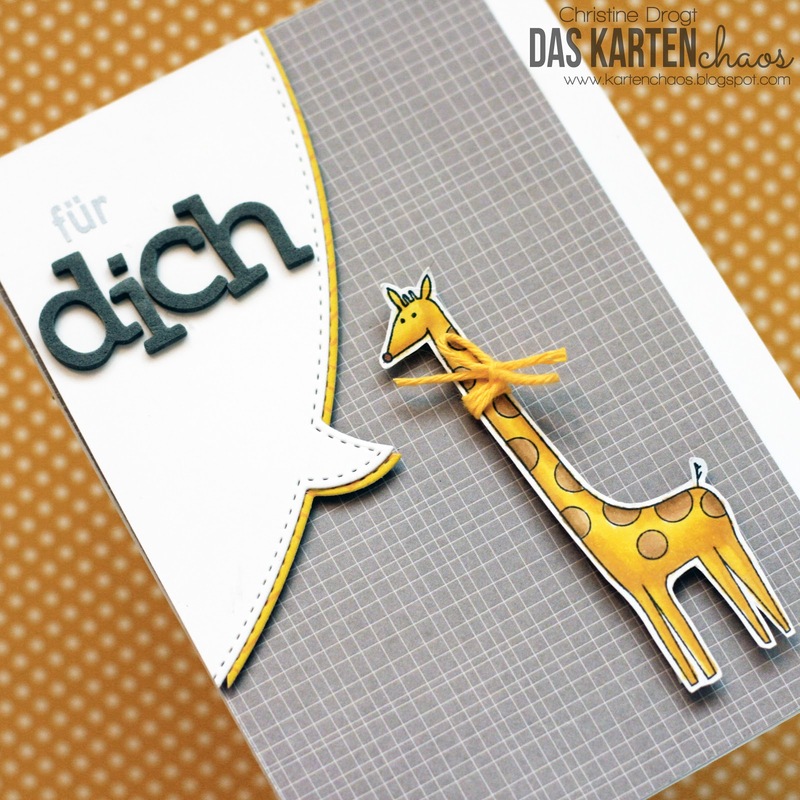 And that giraffe with the awesome speech bubble....wow!!!! You are the most tALENTED ever!! What a great set of cards! It's so nice to be able to craft for fun isn't it? It makes you feel a little more balanced I think. Your coloring is amazing and I Just love the patterned papers and the composition in each card!